Vice-President Phelekezela Mphoko yesterday said the G40 grouping, said to be a faction in Zanu-PF, is a myth. He said this after a senior Women’s League member stirred up a storm at the First Lady Cde Grace Mugabe’s rally when she chanted a slogan which denounced the so-called G40. Secretary for administration in the Women’s League Cde Esphinah Nhari provoked chaos when she denounced the G40, which most senior members at the high table seemed not to appreciate. This opened-up longstanding divisions rocking the Zanu-PF Women’s League. Cde Nhari chanted a slogan saying: “Down with G40” when the wing’s national executive was being introduced. This forced the Women’s League secretary for security and Masvingo Provincial Affairs Minister Cde Shuvai Mahofa to intervene before Vice President Mphoko reprimanded Cde Nhari. G40 is a fictitious faction propagated by the private media linked to some Zanu-PF officials. Speaking just before introducing Cde Mugabe, VP Mphoko said Cde Nhari’s actions were tantamount to attacking the First Lady. 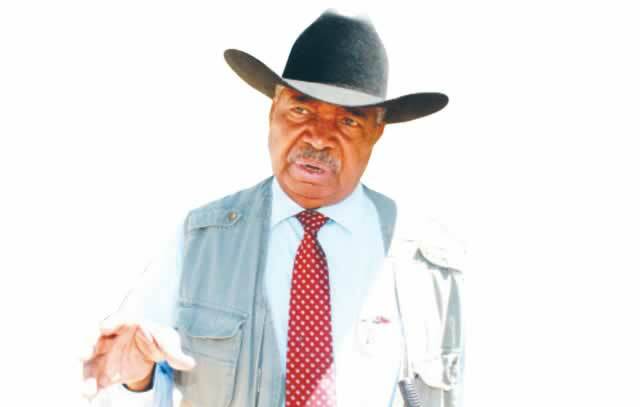 VP Mphoko called for discipline in the party, describing G4O as a “myth”. “You (Cde Nhari) are a grown up person and a lot look up to you for guidance,” he said. “Now you are attacking the President. G40 is a myth, there is nothing like that. Barely two weeks ago, members of the Women’s League had different positions on whether or not the wing had resolved to sent a team to Manicaland to probe its spokesperson, Cde Monica Mutsvangwa, who is being accused of participating in an illegal meeting that tried to overturn a vote of no confidence that had been passed on Cde Happiness Nyakuedzwa. A team was later sent to the province and the Women’s League members openly clashed during the meeting. He called on Politburo secretary for youth Cde Pupurai Togarepi to control the youths who he said were responsible for circulating messages meant to divide the party. “In the war of liberation, I learnt a high level of discipline. If we were not disciplined, we were not going to liberate this country. “That is what I’m telling Cde Togarepi because I do have a conviction that the youths are responsible for all these things,” VP Mphoko said.